Forgery of Aadhaar card enables Rs. 1.53 lakh scam loan - Aadhaar FAIL! Three months ago, Tarun Sureja, a software developer, got a new mobile SIM. It had been registed to one Ajay Rathod before him. Ajay Rathod had died, and the SIM deactivated and reissued to Tarun Sureja. While shopping, he came across a promotion by Bajaj Finserv, that offered him an EMI card if he registered with his mobile number. When he entered his number, he discovered that the phone was already registered with the company in the name of Ajay Rathod. Knowledgeable about ecommerce, he explored further and found out that he could get a new card with Ajay Rathod’s existing account by simply furnishing an ID. He modified a copy of his Aadhaar card with Ajay Rathod’s name in his place, and used it to obtain a new card. Realizing that the products purchased would be delivered to the address on the proof provided, he kept his own address there. The account had a credit limit of Rs. 1.59 lakh, out of which Tarun used Rs. 1.53 lakh to buy consumer electronics, which got delivered to his address and which he then sold for cash. Tarun did not know Ajay Rathod was dead and believed that the instalment payments would be billed to him. 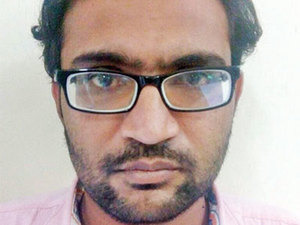 The matter came to light when Sanket Sharma, collection Manager at Bajaj Finserv found the instalment payments overdue and notified Abhijeet Dave, assistant manager of the fraud control unit. When Dave visited Sureja’s home in Gota, he was told that no one named Rathod lived there. He visited the address provided on Rathod’s first EMI card loan (which had been repaid) and found his brother residing there, who informed him that Ajay Rathod had died on May 29, 2016. Dave then investigated the documents further and realized that the Aadhaar card copies submitted by Rathod and Sureja were the same except for differences in names and birth dates. He also found out that there were five loans given to people living at that address – four in the name of Ajay Rathod and one in the name of Tarun Sureja. With that, he had their man and filed a police complaint. Tarun Sureja is arrested. What is important to note here is that Tarun Sureja was clumsy in managing the fraud he did. He used his own Aadhaar card and address to do the fraud, which is why he was caught. A smarter operator would have used the details of someone else and reported his own SIM stolen. Aadhaar is being rapidly expanded and adopted in ways that add risk to the financial system. Catching someone who does fraud may not be useful in recovering losses if the ill-gotten gains have already been spent or used and the criminal does not own enough money to repay. Putting the perpetrator in jail will do little to help the balance sheets and accounts of people who get defrauded. There is an urgent need to remove the trust invested in the easily forged Aadhaar cards as proofs of identity or address. 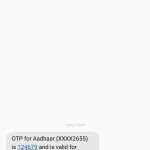 Aadhaar doesn't have security breaches, it is a well maintained vulnerability highway! Fraud happens inotherways also. I had shifted to kolkata temporarily and needed a local data connection for my phone. I got a Vodafone data connection which i used for a couple of months. Before leaving kolkata I went back to the Vodafone Store I had got the connection from, paid the dues till date and had the connection cancelled. To my surprise, soon after I received analert from my bank that that a Vodafone bill had been successfully paid. Upon enquiring with the customer care, i was told this was the balance due for the days remaining of the last month. But what was horrifying was that the customer care informed me that I had shifted to a pre-paid scheme, and my request to that effect was registered with Vodafone. Clearly someone at the store had used my id documents and sold the connection to somebody who obviously had no valid documents. Inspite of repeated mails to Vodafone I got no response but the standard.